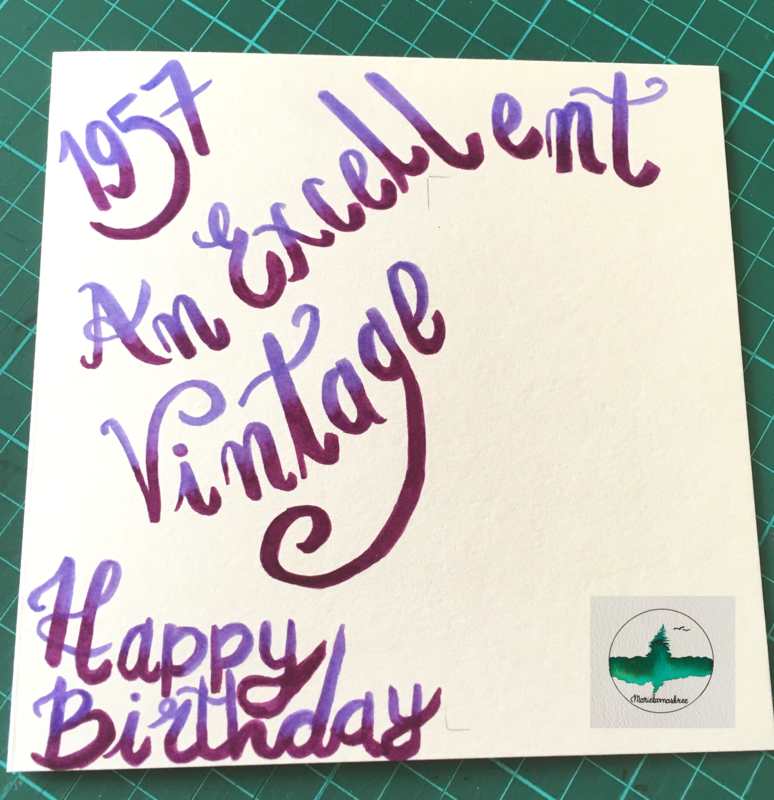 I recently made a birthday card for a friend who had commissioned me to make a 60th birthday card. 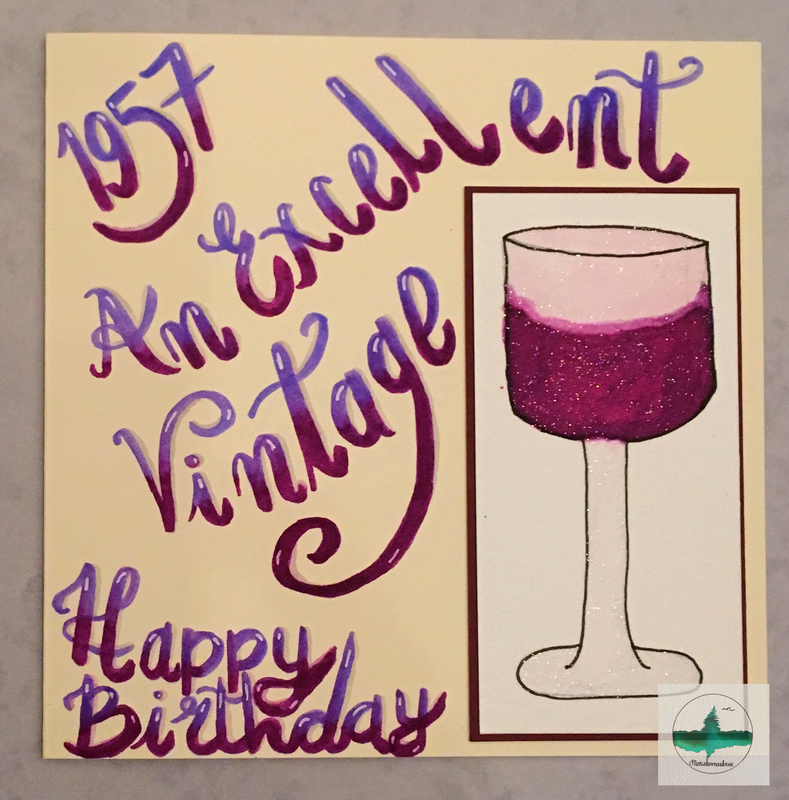 As well as the Watercolour painting of a glass of red wine I decided to hand letter a sentiment direct onto the card. To achieve the look I wanted I blended 2 different colours to get a gradient effect. 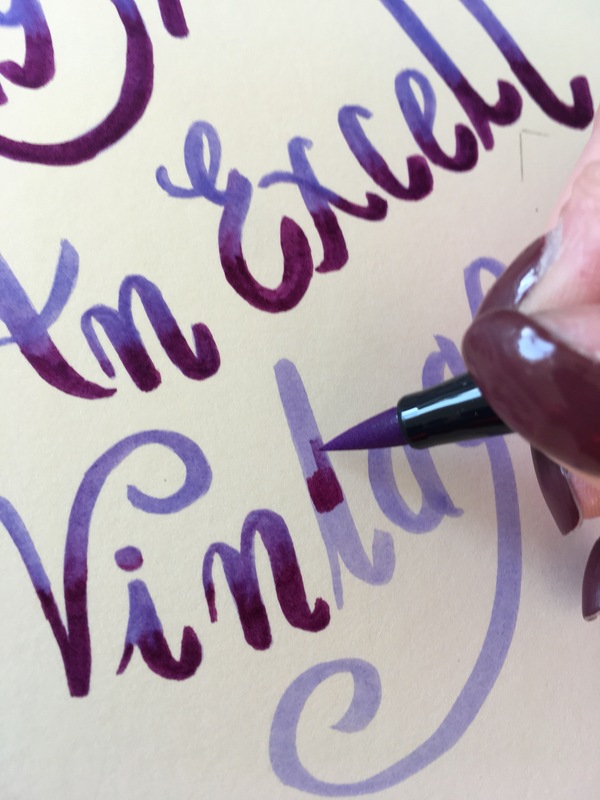 For this card I used 2 shades of purple Tombow dual brush pens. 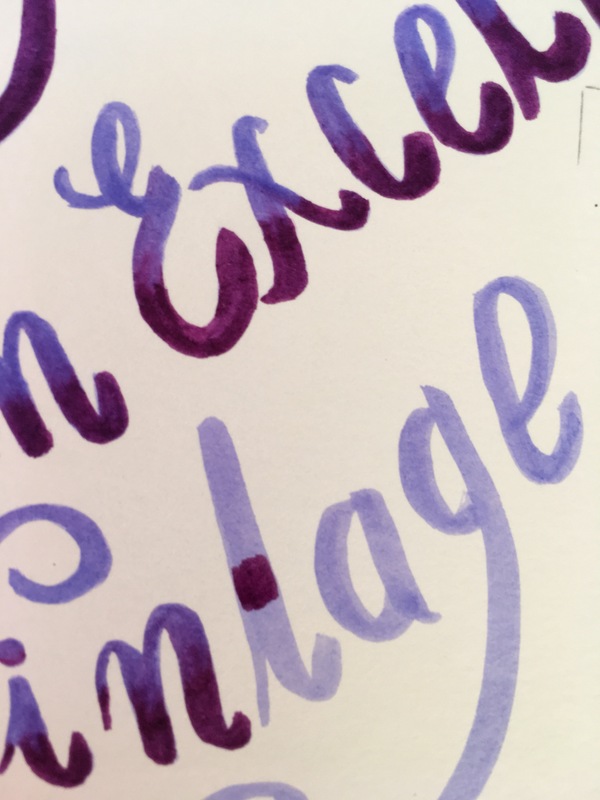 This effect can be achieved with most brush pens, I used my Tombow pens for this card as I had a pack of various shades of purples that coordinated with the watercolour. Using the lightest colour first write out the words you would like. 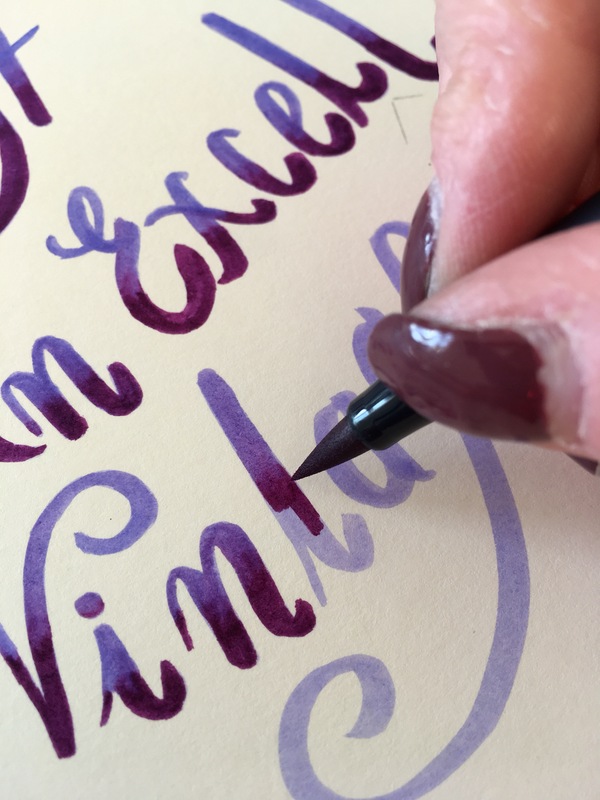 Whilst the ink is still wet on the paper/card, using the lighter shade of pen, gently ‘drag’ the darker colour up the letter. As the colours start to merge you will see that the darker shade is dragged up a little and the lighter colour then blends out to the top. Gently apply the lighter colour to get the effect you like, a light shade or a deeper colour with less or more ink. Then, using the darker shade once more, draw the colour down the bottom half to cover the rest of the lettter. 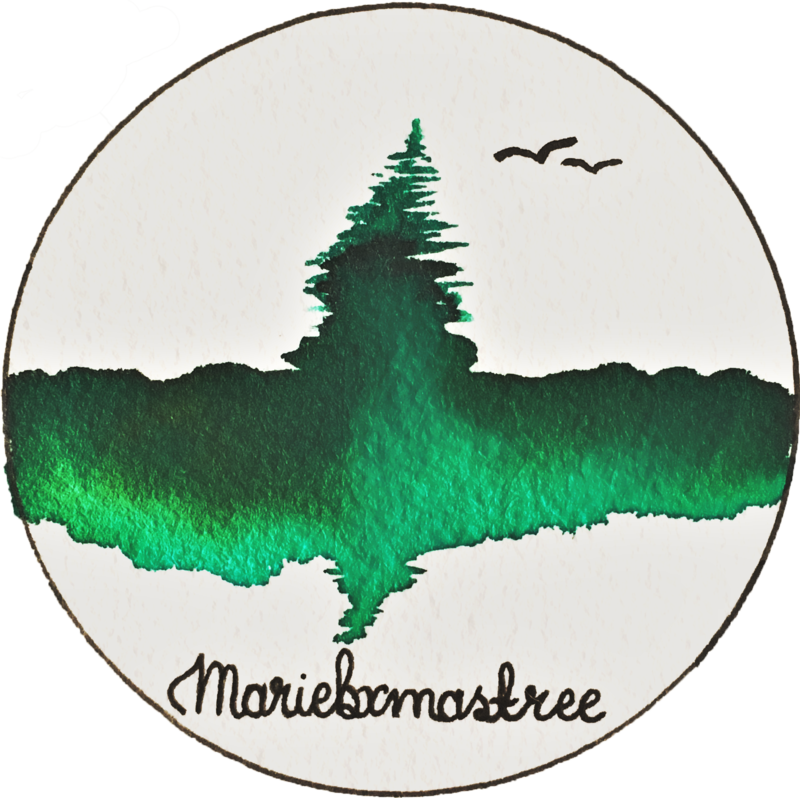 This then creates a blended effect and as the inks dry the blend will soften a little. 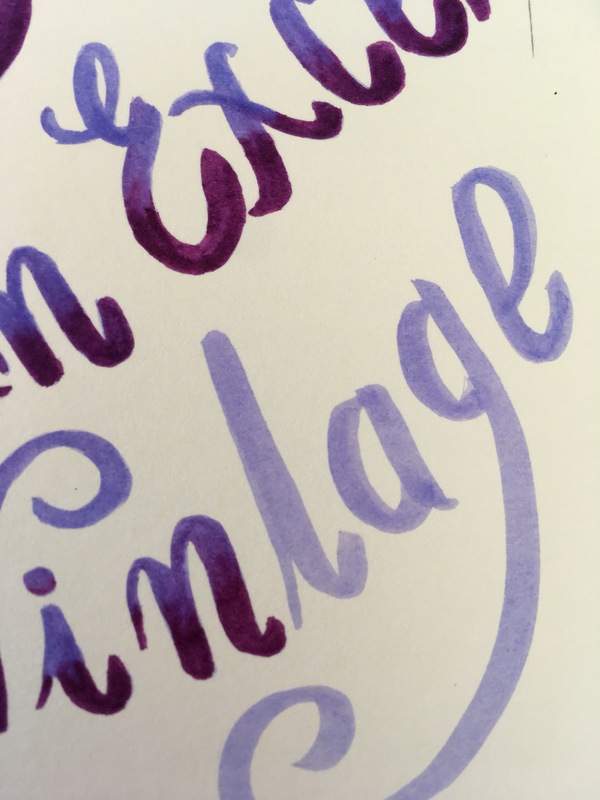 I’ve found that this effect can be achieved when mixing most colours, as long as the pens you use don’t dry instantly on the paper. 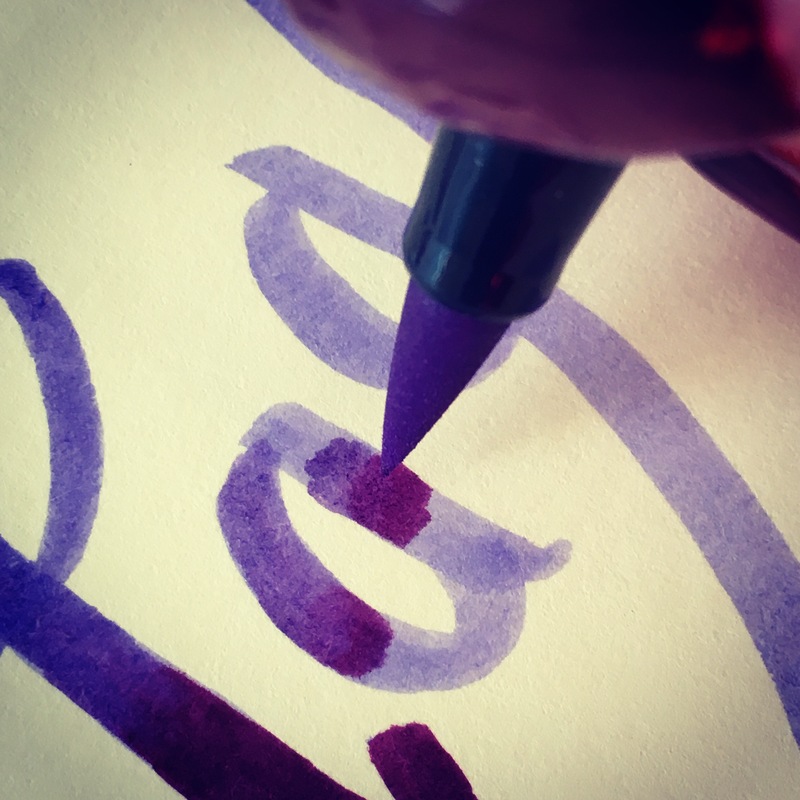 It’s the moist ink being carried by the other pen that creates the blend. 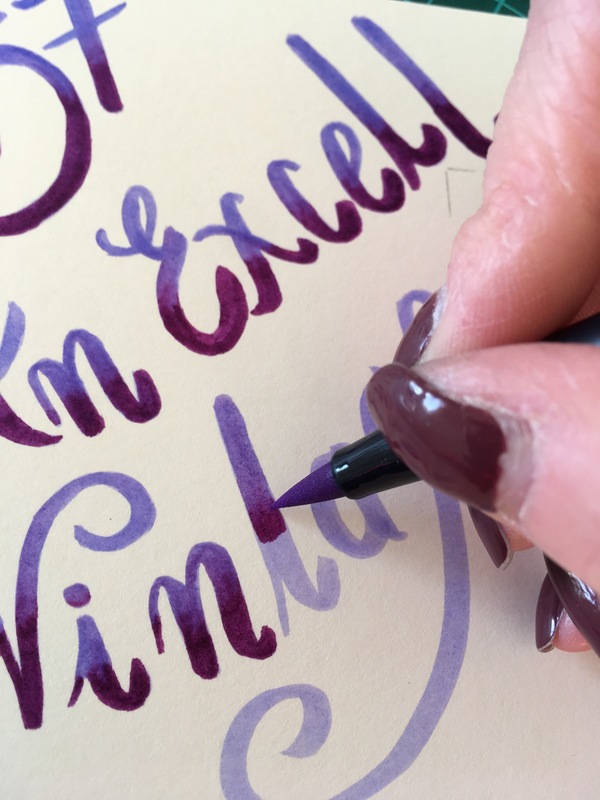 Let me know if you give blending a try on your next hand lettering project, I’d love to see. 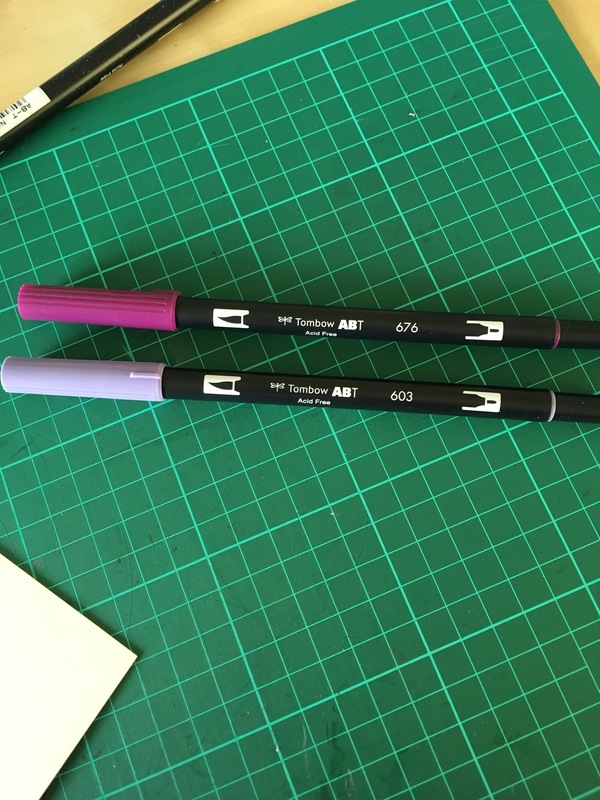 This is great, do you ever use the Tombow blending pen??? Hi, Thank you. I have tried the blender pen once, but have only recently bought a pack with one in so I definitely need to practice more. Oh so that’s how it’s done. Thanks! I will try this with watercolor!